The Chamber Board of Directors is excited to announce its 2014-2015 officers. These individuals are all active contributors to the Chamber and this community. 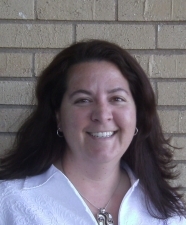 Stacia is Human Resource Director for Sugarland Enterprises and a consultant for PeAk Consulting. This will be her 5th year on the Chamber board. Stacey Staben, ERA Carroll Realty Co., Inc.
… to our outgoing President, Wendy Smith, for her leadership during the past year.